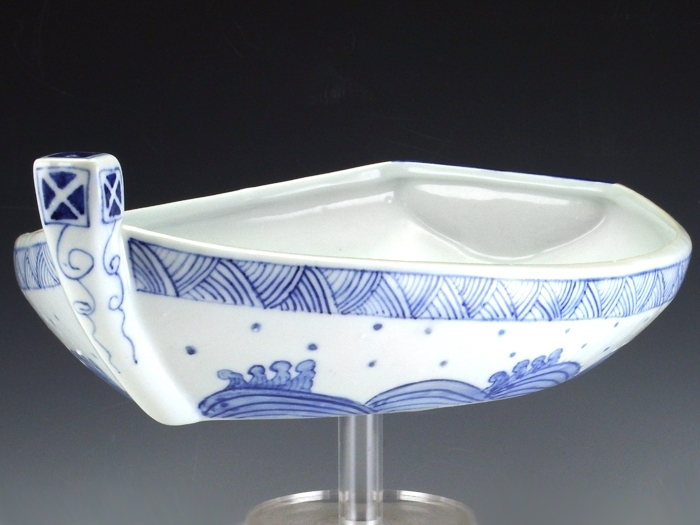 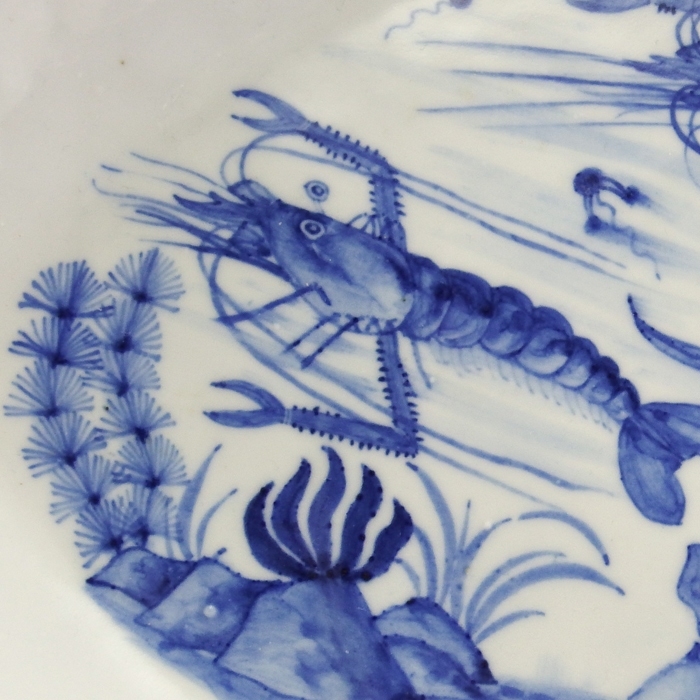 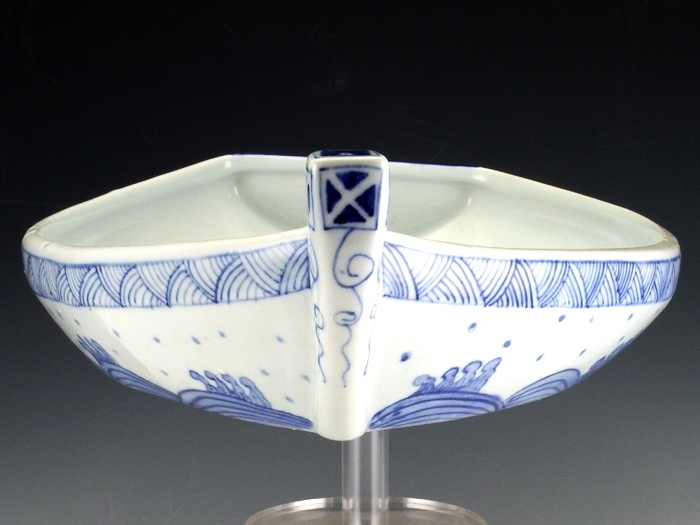 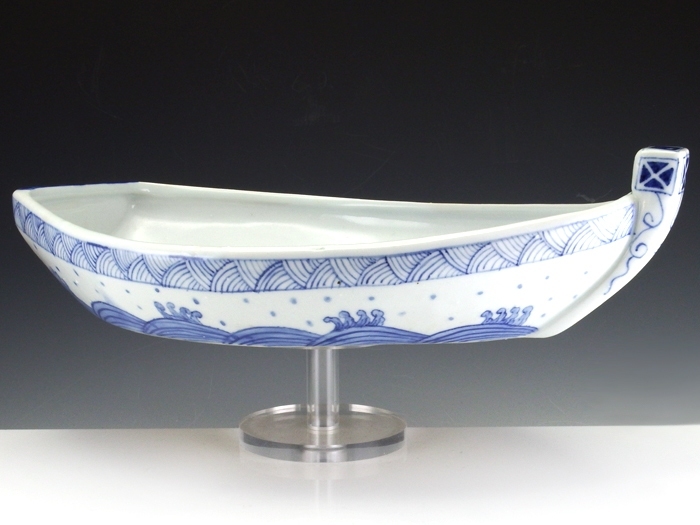 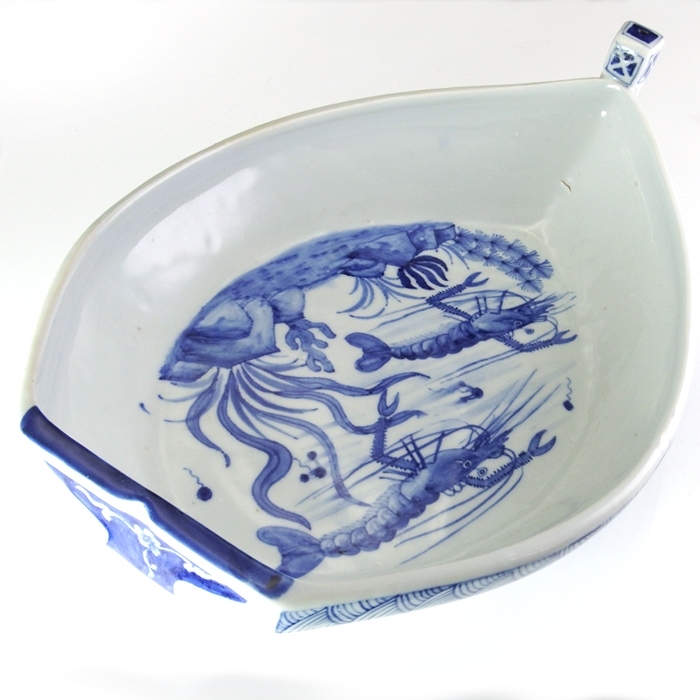 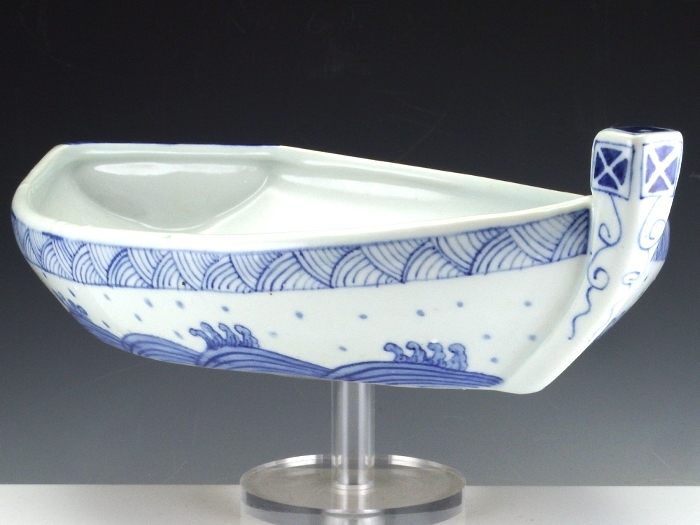 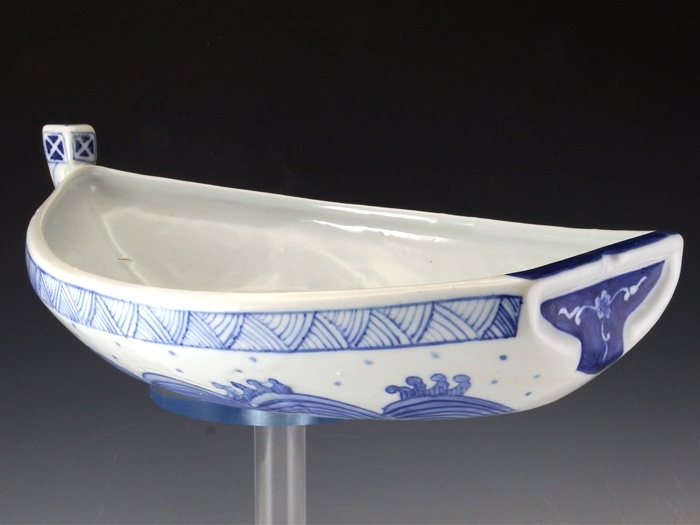 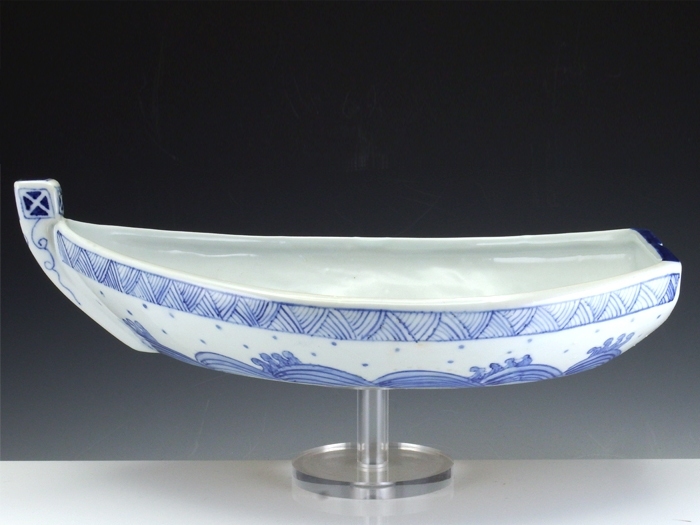 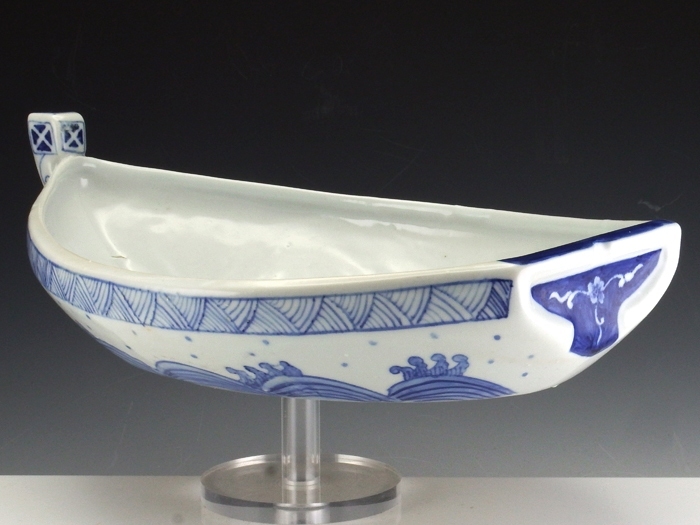 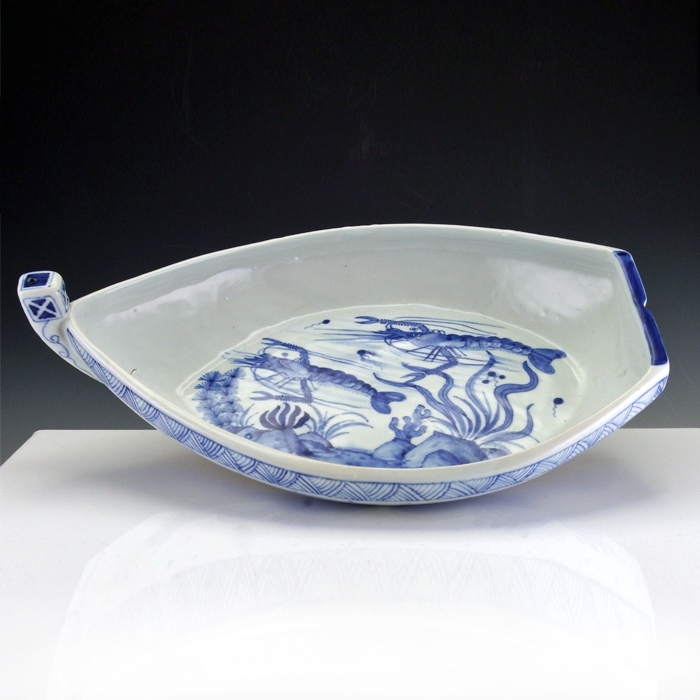 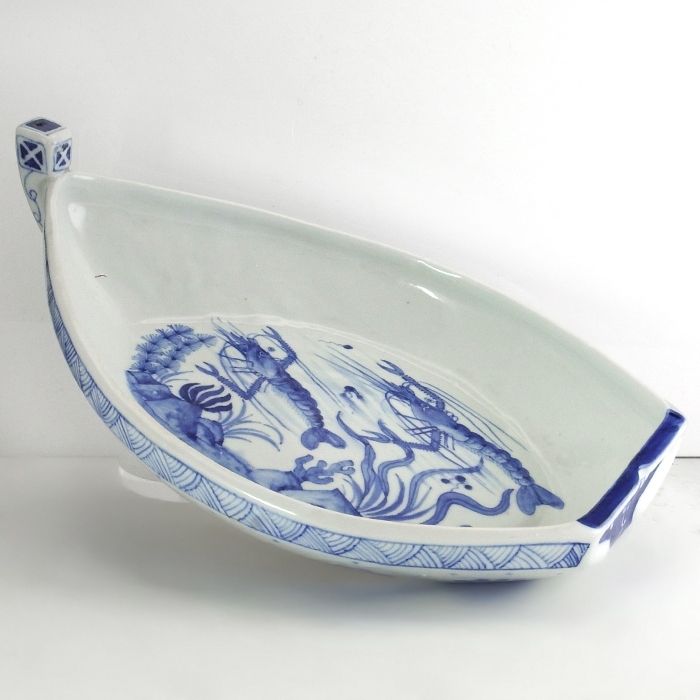 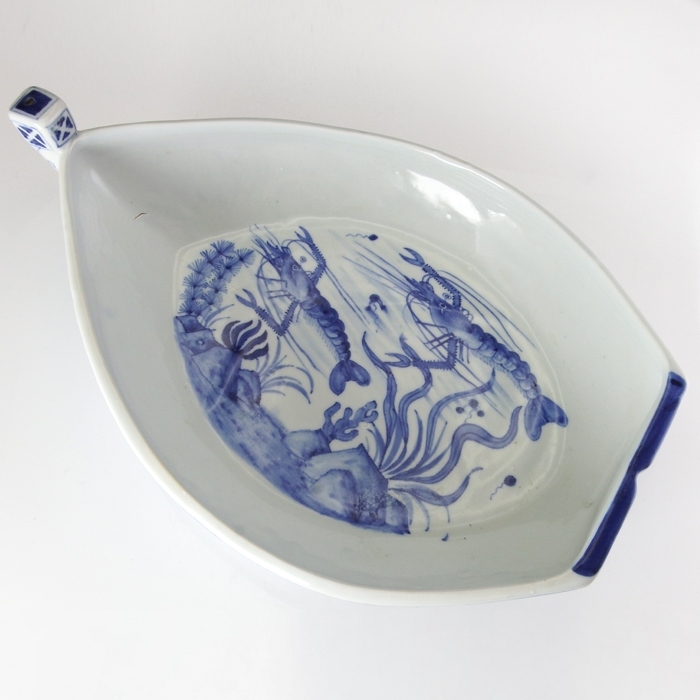 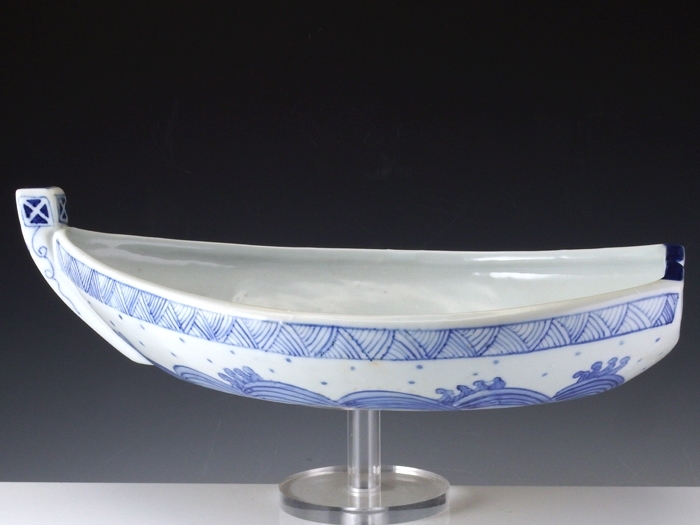 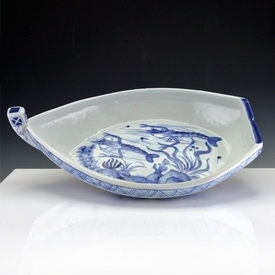 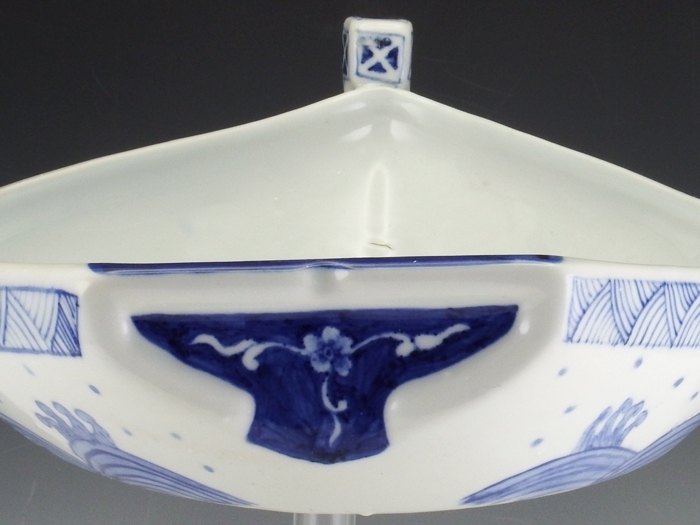 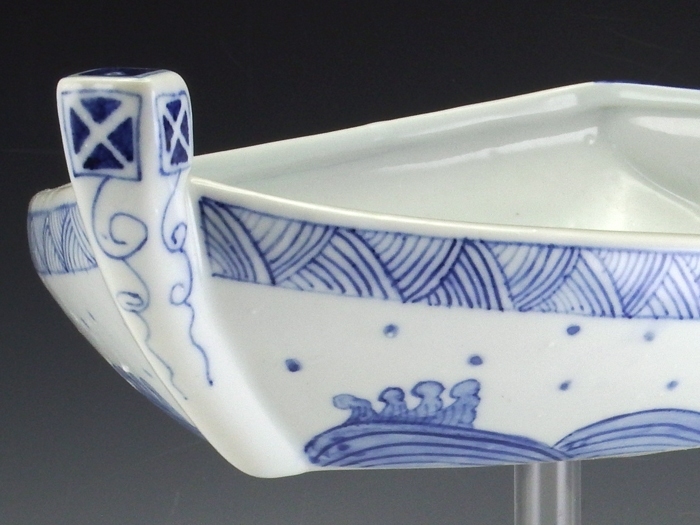 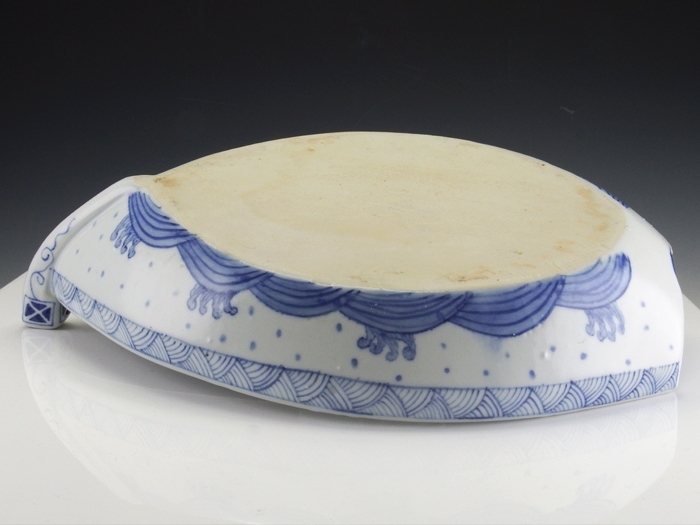 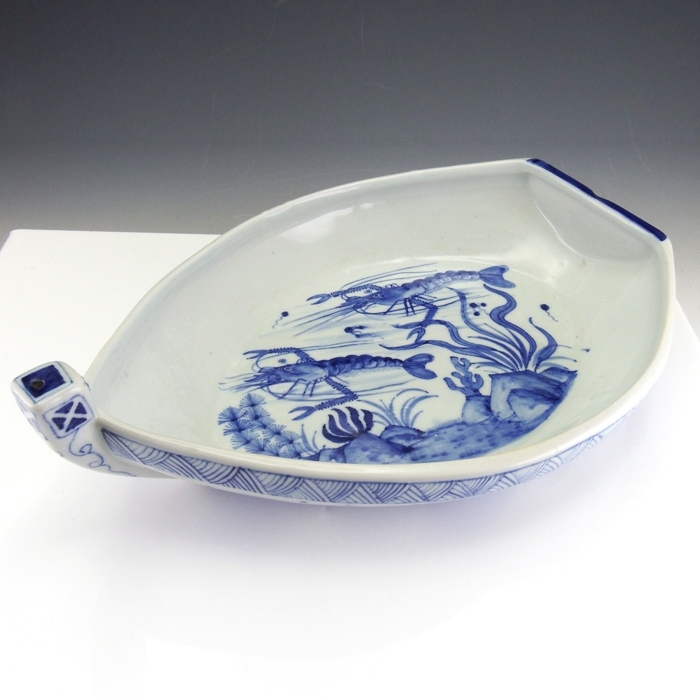 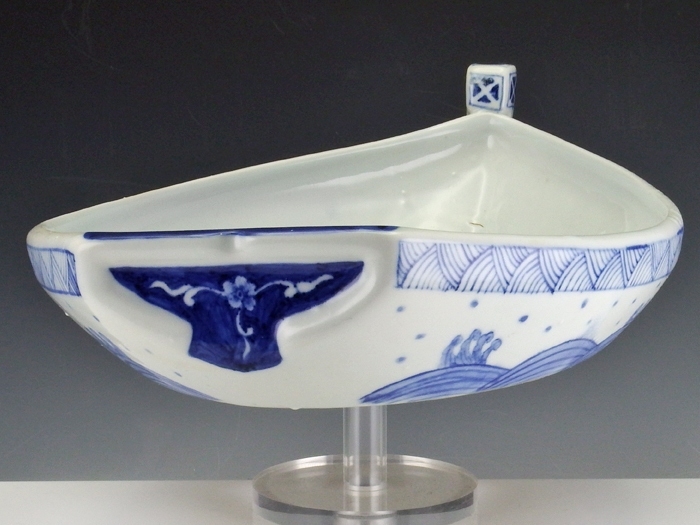 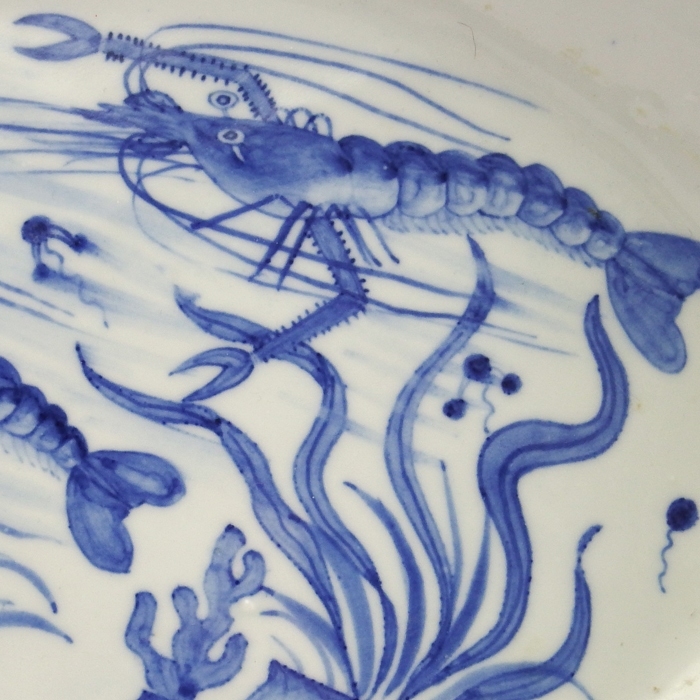 Arita blue and white boat shaped dish with raised bow, unglased base. 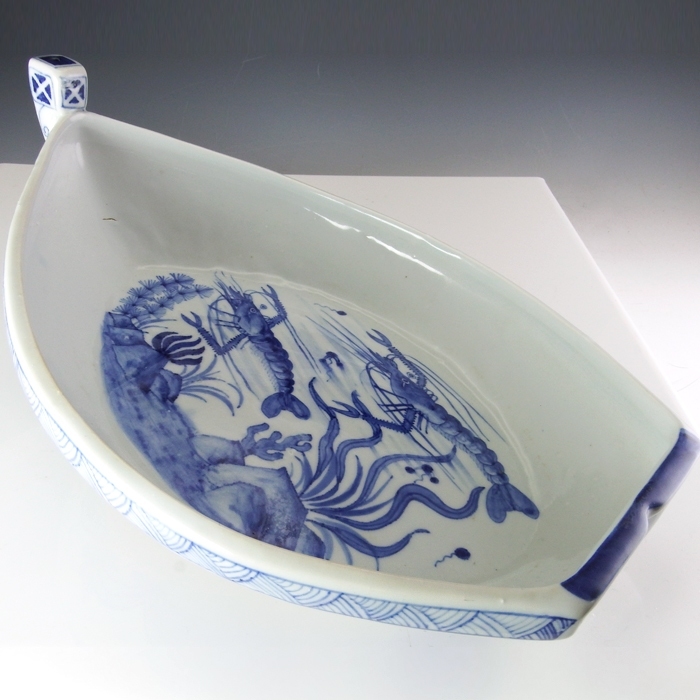 The bow and outside of the boat is decorated with a geometric design, waves on the bottom and a flower on the stern. 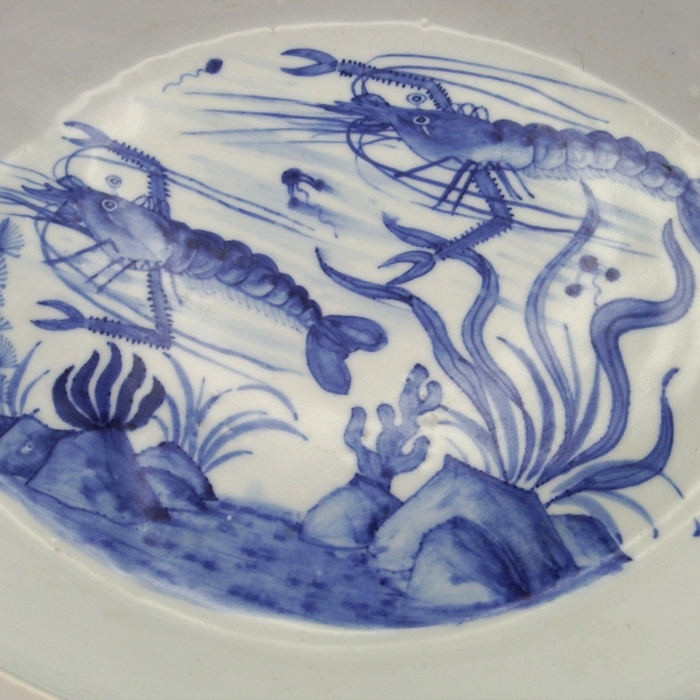 The inside is decorated with a view of the ocean with two lobsters.